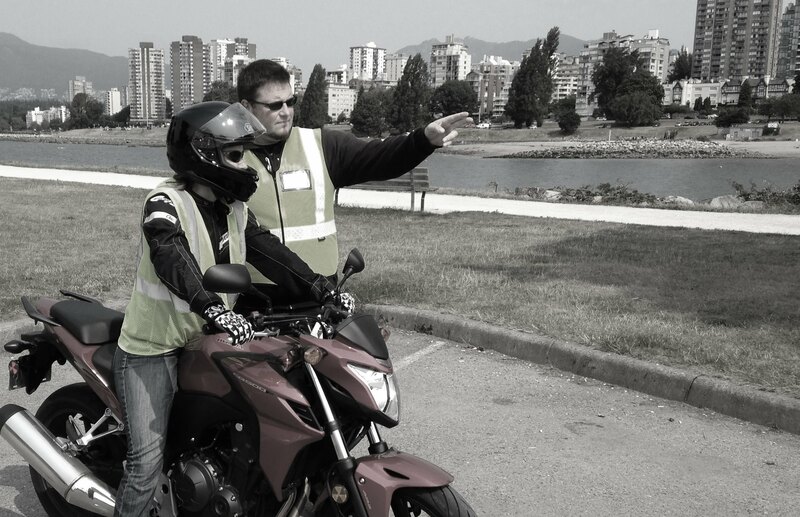 High Gear is Vancouver's private, one-on-one motorcycle training alternative. We will work with you to design custom training, based upon your availability, learning speed and comfort zone. In contrast with mainstream motorcycle schools, we won't put you in a class with other students. Instead, we'll assign you your own personal motorcycle trainer, who will work with you to design a unique learning program to suit your individual needs. At High Gear, you're a client not a student, and you book us just the same way you'd book a personal trainer - an hour here, a few hours there - whatever fits into your busy schedule and your training goals.